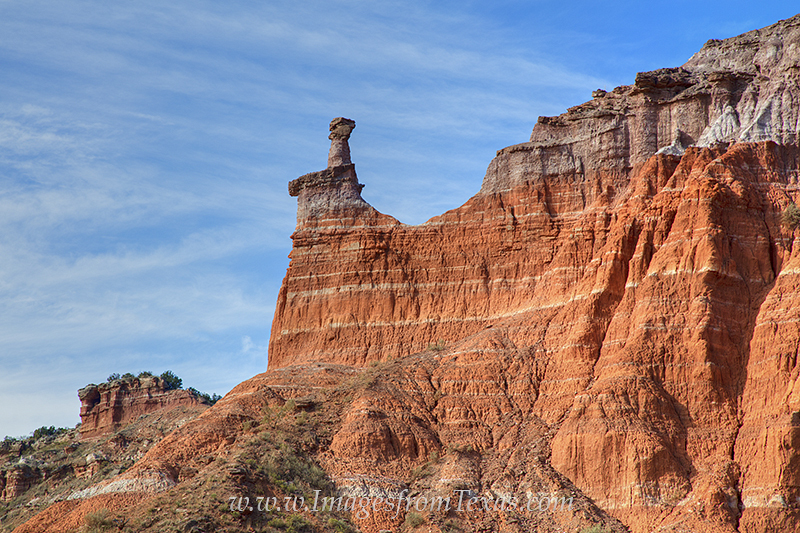 In the morning just after sunrise, a hoodoo and the surrounding layers of rock at Palo Duro Canyon glow in the orange sunlight. In the first few hours of day, the canyon is awash in reds and oranges, an amazing sight in this rugged Texas landscape. Photo © copyright by Rob Greebon.